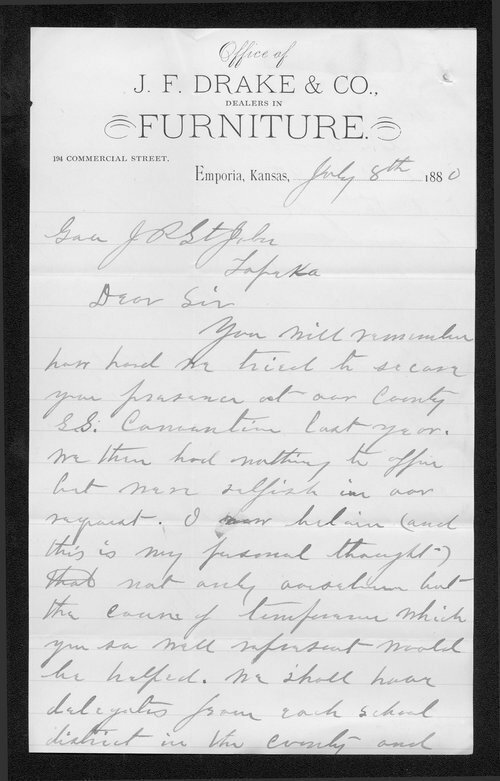 In this letter, J. F. Drake, invites Kansas Governor St. John to speak in Emporia at the convention being held August 9th or 10th, 1880. It appears that St. John is being invited to speak at a county Sunday School convention. Drake was a furniture dealer in Emporia.